Swan Rangers Zero In on Arctic Weather! 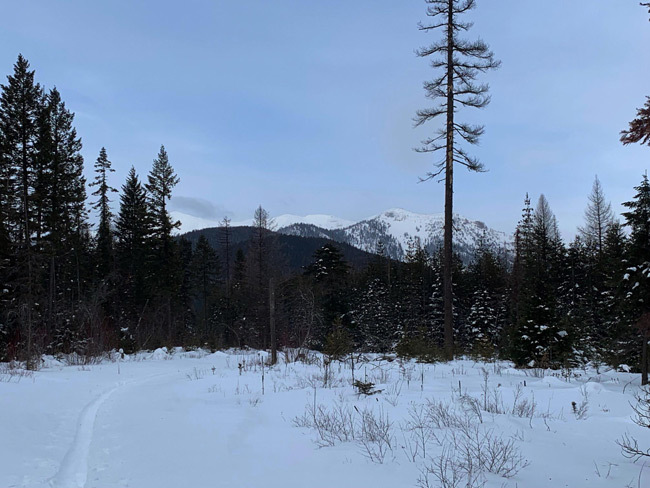 Zero Swan Rangers skied a windy subzero Saturday morning, February 9, 2019! A short ski in the slightly above-zero afternoon was better than the morning's -30 degree wind-chill, but still a bit brisk! See below for photos of truly cat-astrophic weather conditions! 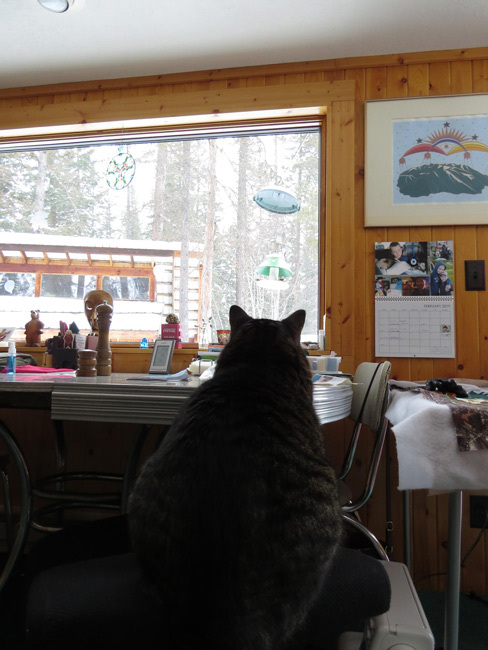 Even the cat preferred to watch the bird feeder from indoors! 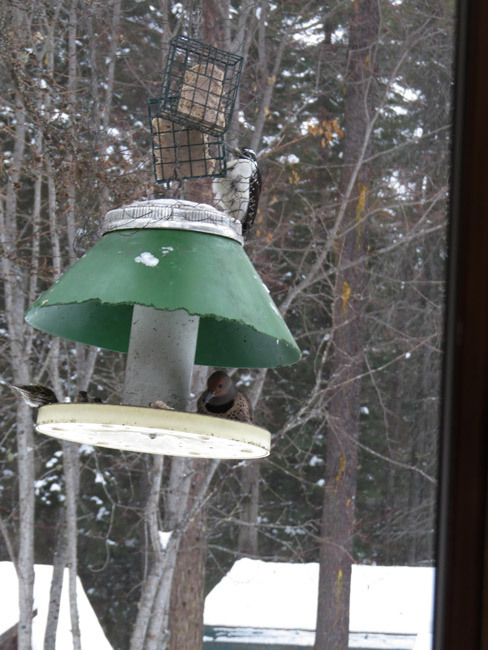 You know its cold when pine siskins and several kinds of woodpeckers share the feeder! Pictured are a hairy and a flicker, while a pileated and a downy woodpecker wait their turn in trees nearby! The Swan Rangers meet every Saturday (with rare frigid exception) at the Echo Lake Cafe for breakfast at 8:30, leaving at 9:30 for a partial day outing in the northern Swan Mountains and foothills.